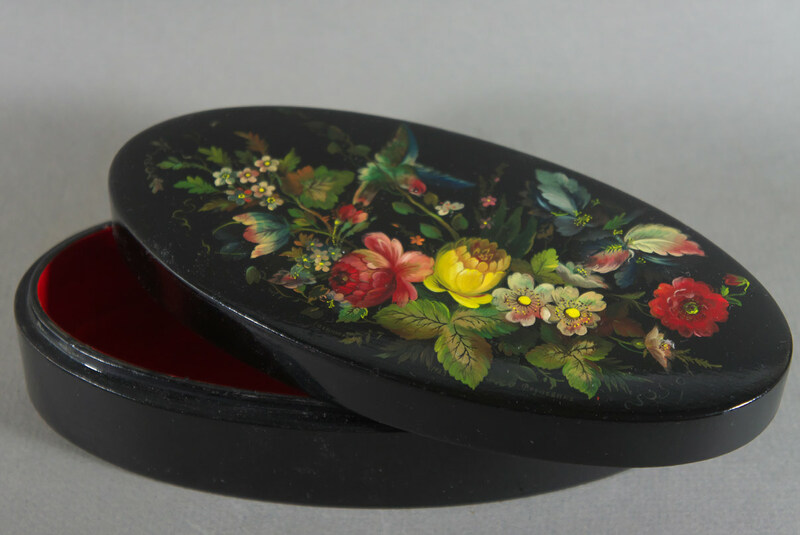 Vintage oval Russian Lacquer box decorated with a bird amongst floral bowers, painted on a foil ground. 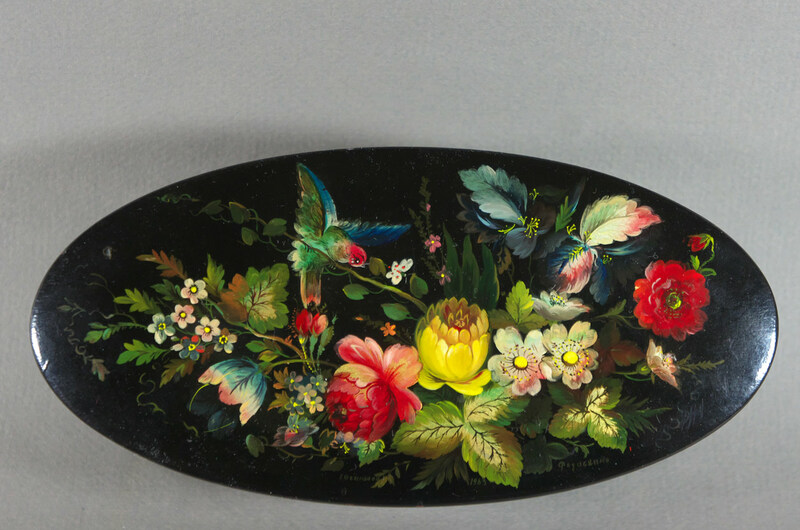 Produced in Fedoskino during the Soviet era. Dated 1963, artist signature and village name in Cyrillic script.